A young woman went to her mother and told her about her life and how things were so hard for her. She did not know how she was going to make it and wanted to give up. She was tired of fighting and struggling. It seemed that, as one problem was solved, a new one arose. Her mother took her to the kitchen. She filled three pots with water and placed each on a high fire. Soon the pots came to a boil. 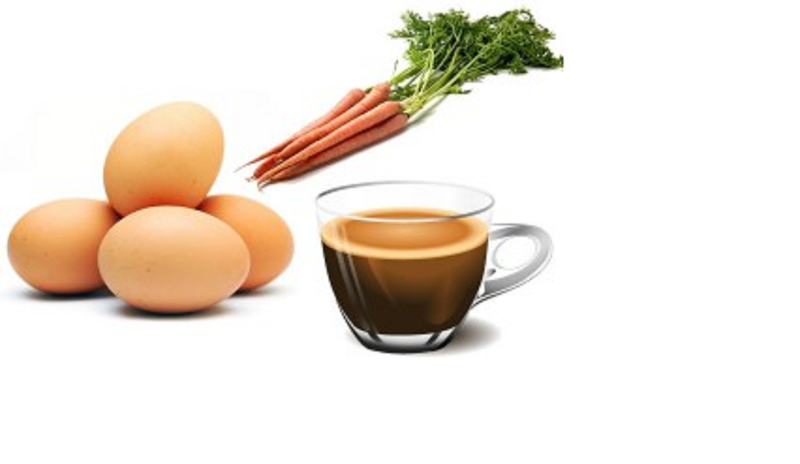 In the first, she placed carrots, in the second she placed eggs, and in the last she placed ground coffee beans. "Which one are you?" the mother asked her daughter. "When adversity knocks on your door, how do you respond? Are you a carrot, an egg, or a coffee bean?" Think of this: Which one am I? Am I the carrot that seems strong but, with pain and adversity, do I wilt and become soft and lose my strength? Am I the egg that starts with a malleable heart, but changes with the heat? Did I have a fluid spirit but, after a death, a breakup, or a financial hardship, does my shell look the same, but on the inside am I bitter and tough with a stiff spirit and a hardened heart? Or am I like the coffee bean? The bean actually changes the hot water, the circumstance that brings the pain. When the water gets hot, it releases the fragrance and flavor.